Do you want to learn more about Open Science, Open Access, copyright and open data regarding scientific publishing? You’ve come to the right place. 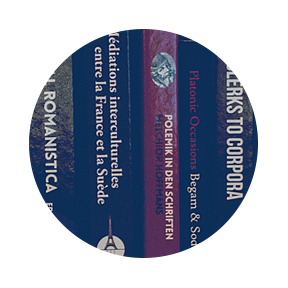 We are a part of Stockholm University Press and Stockholm University Library. Our ambition is to be a publisher in the forefront and we want to contribute to national and international discussions about Open Access, open data and copyright. Mainly in Sweden but also in other parts of the world. We are dedicated to make scientific research available and support our authors to increase the dissemination and use of their research. We also provide news and knowledge around the fields in the digital scholarly publishing. Would you like to write a guest blog post for the Stockholm University Press Blog? Read more. Stockholm University Press (SUP) is an open access publisher of peer-reviewed academic journals and books. We aim to make journals and books affordable, and to give them the widest possible dissemination so that researchers around the world can find and access the information they need without barriers. Do you want to publish your research through Stockholm University Press? Everything starts with a Book Proposal.